Find out who’s got the fastest gun in the West! Betsoft’s recent release, the True Sheriff Slot Machine, features a take-no-prisoners Sheriff and his arch-nemesis, the High Noon Outlaw. The game includes 5 reels, 30 paylines, and several different bonus features. Welcome to the rough and tumble town of High Noon. Now that you’re in the Wild West, you’ll find yourself surrounded by gunslingers and outlaws. 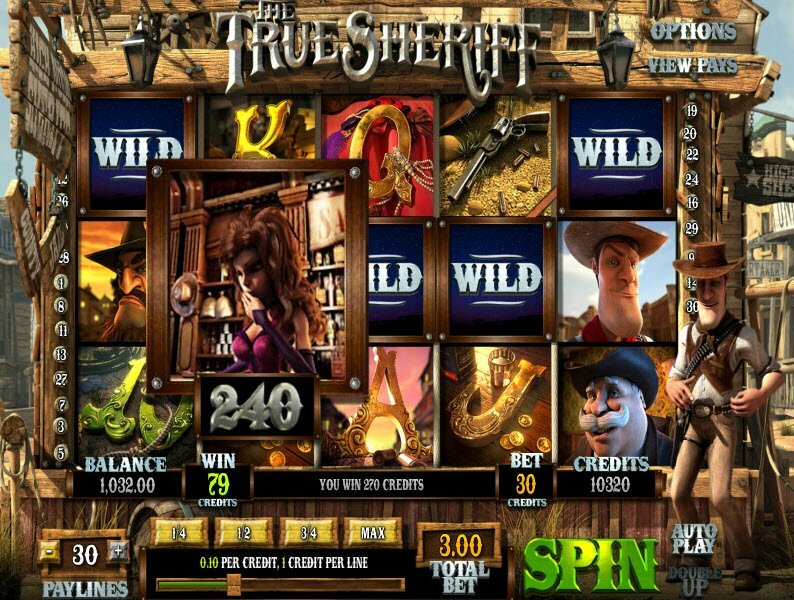 The True Sheriff Slot packs heat with a clever game design and great bonus features. Lucky players who land on the Gun Symbol could trigger the Showdown Bonus or the Wild Guns Feature where you could win Free Spins and big cash prizes. As soon as you take a look at the game graphics, you’ll recognize that Betsoft style we all know and love. The Betsoft game developers have a great way of capturing themes in a clever, well-designed manner that makes the game more enjoyable. The True Sheriff Slot proves no exception. The country music and coyote calls that accompany the game fully portray the frontier theme. As the reels spin, images appear of Colt-45s, bandits, and saloon girls as well as letters and numbers stylized in an Old West fashion. Meanwhile, the sheriff stands by slinging his gun by the side of the reels. All of the 3D graphics and sound effects stream seamlessly as you play creating the adventurous atmosphere of the Wild West. In this game, the Gun represents a very special symbol because it activates a couple different bonus features. During the Wild Guns feature, the Sheriff shoots at the reels, hitting 5 different symbols... and they become Wild. In this game, the Gun represents a very special symbol because it activates a couple different True Sheriff Slot bonus features. When The Gun appears on the center reel, it triggers the Wild Guns feature. 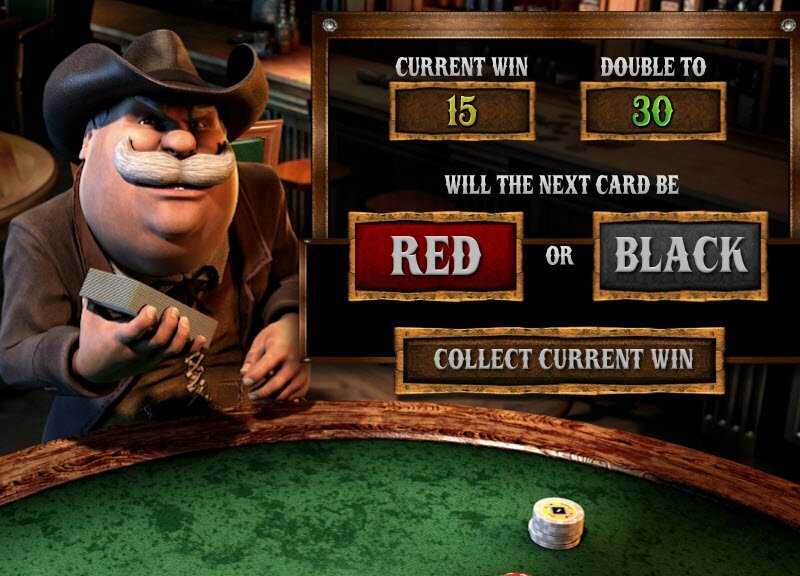 During this exciting game, the Sheriff shoots at the reels, hitting 5 different symbols. These symbols become Wild and the reels respin. The winning combinations that contain Wilds will reward extra cash payouts. The Gun also activates the Showdown Bonus if it appears between the Sheriff and the Bad Guy on the reels. You then choose head or tails to determine the winner. Each win gets you closer to getting the top prize. 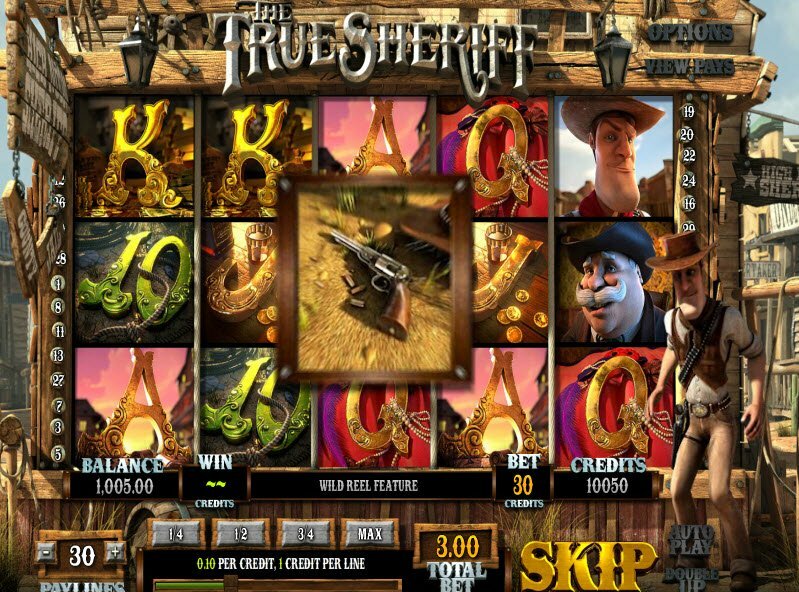 The True Sheriff Game Slot includes a Double Up Bonus Round. After you hit a winning combination, you have the option of putting your money on the line to double your winnings. All you have to do is try and guess if the card drawn will end up red or black. When 3 or more consecutive Sheriff Badges appear on paylines 1, 2, or 3, you automatically receive 10-15 Free Spins depending on how many badges landed on the reels. During the bonus, you can win more Free Spins or instant Scatter payouts. Each additional badge that appears on the reels adds to the counter. At the end of the Free Spins Bonus, you win a bonus prize based on the number of badges collected.